Under the AITD program, angel investors are required to make a minimum personal deposit of SGD 100 000 (approx. USD 71 541) before March 15th 2015 to qualify for this tax deduction. Upon the completion of a 2 year holding period, investors will be eligible for the tax relief. Additionally, the investor is required to serve on the firm’s board of directors for the entire holding period of the investment. According to Spring Singapore, the condition will ensure that small businesses and start-up firms will benefit from the experience of its investors, thereby aiding their growth. 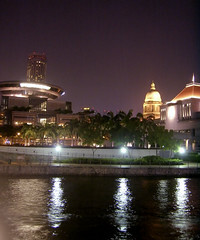 To be eligible for the program, investors are also required to be approved by Spring Singapore. Under the AITD, angel investors must be either experienced angel investors, serial entrepreneurs, or experienced senior management executives. The AITD also speculates that the investment-receiving firm will not undertake illegal or undesirable activities, speculative activities, hold investment assets, invest in real estate or carry out property development. The Government of Singapore has reserved the right to deem further activities unsuitable for the AITD program.